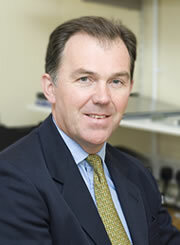 Welcome to the website of Charles Sandy, consultant ophthalmologist and ophthalmic plastic surgeon based in Hampshire. Mr Sandy has wide experience in the management of general ophthalmic conditions and has an interest in cataract surgery, cosmetic and reconstructive eyelid surgery and tear drainage surgery. Mr Sandy was appointed consultant in ophthalmology and oculoplastics to the North Hampshire Hospitals NHS trust in August 2000 having trained as an eye specialist at Moorfields Eye Hospital London. In addition to his general ophthalmology training he undertook a fellowship in ophthalmic plastic surgery, also at Moorfields. This website is designed to give information for both patients and healthcare professionals about the eye conditions treated by Mr Sandy. Please use the links to navigate to the relevant area. Click on the print page icon for printer-friendly versions of pages. Appointments are available both privately and under the NHS.